Two nearly-identical white cats circled each other, hissing and growling. Facing off, until one conceded defeat and dashed around the corner of the bungalow. The victor jumped up to join Brian on a hammock swinging on the porch—or rather, to cuddle up with the human currently in residence at her abode. Brian and Fleck reading Game of Thrones. Keeping company with the furry critters was the main reason we were drawn to Time for Lime. Cats and backpacks just aren’t compatible. As long as we’re doing full-time, round-the-world travel, having pets of our own isn’t possible. 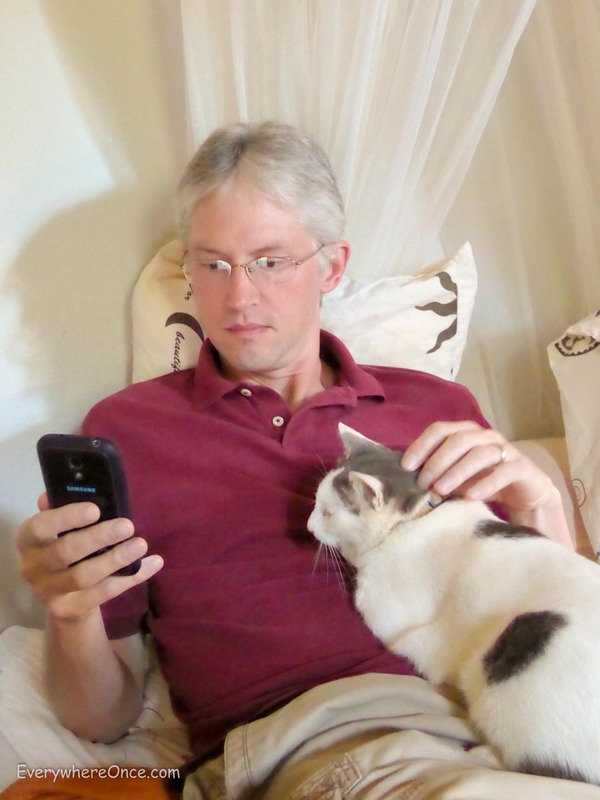 We miss not being subject to feline overlords, like we once were and will be again someday. 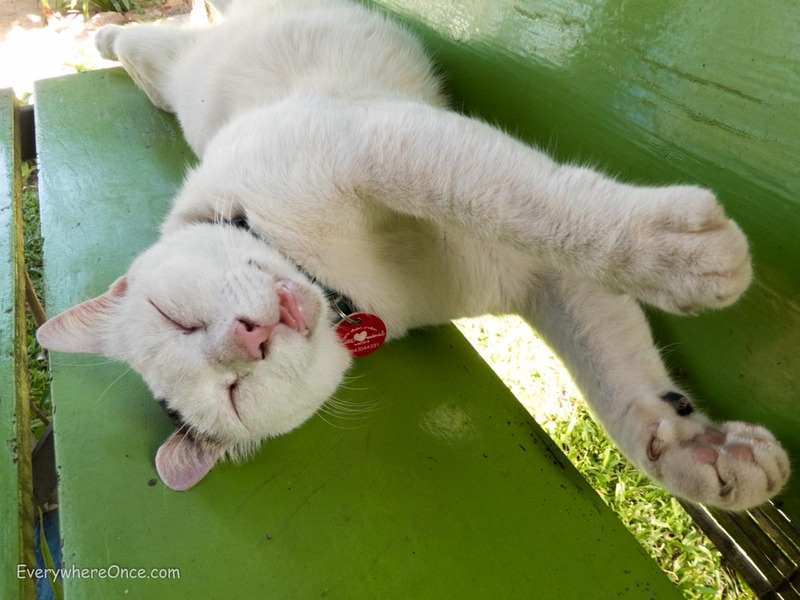 In the meantime, we got to spend time with some cool cats on Koh Lanta, all of whom are up for adoption. Aside from the cats, there are other reasons Time for Lime was a hit with us, too. 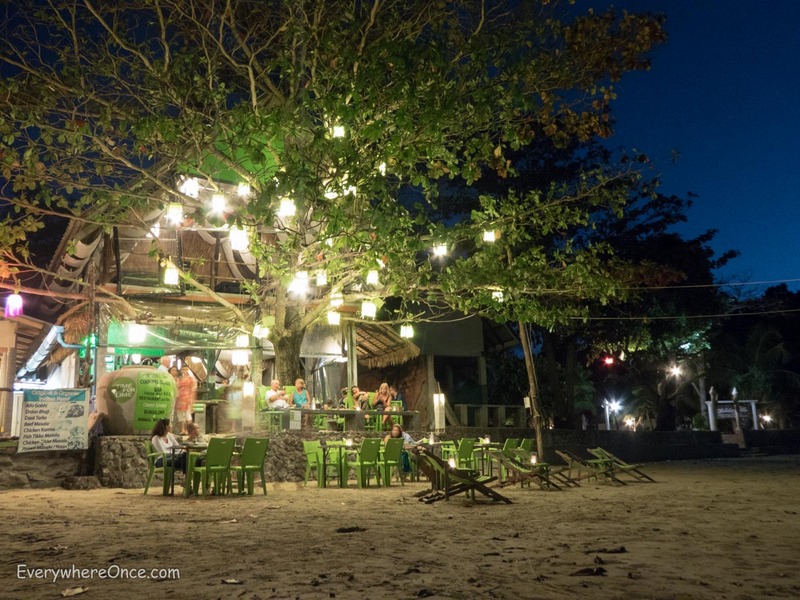 A beachfront location, a bar and restaurant with a casually chic ambiance that drew a crowd each evening, and a superb, five-course tasting menu of local specialties that changes depending on the day of the week. Then there are the famed mojitos (each guest receives one complimentary drink) and the tasty, innovative margaritas, infused with lemongrass or chili peppers. What’s more, staying, eating, and drinking at Time for Lime supports a great cause. Profits help fund Lanta Animal Welfare, a local charity delivering sterilization and veterinary care to the island’s cats and dogs. 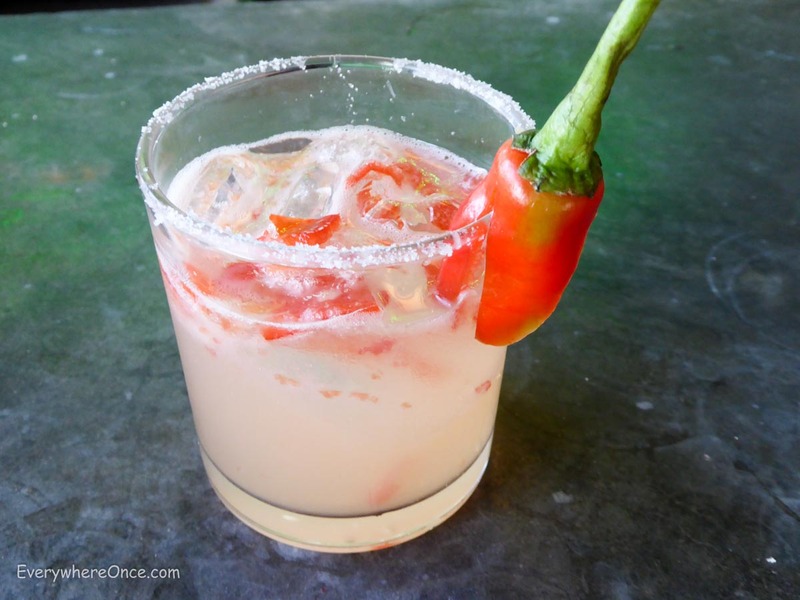 Not for sissies: Time for Lime’s chili pepper margarita. Still, as excellent as the margaritas were, they were trumped by the kitties that entertained us with their drama and demands for petting and hammock-sharing. On our last morning at Time for Lime, our bungalow was a hot spot. 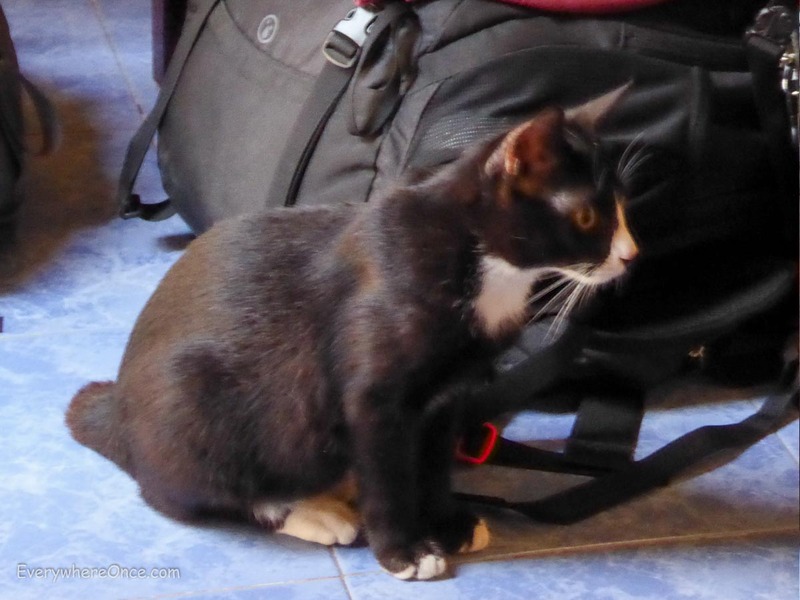 Three cats came for a visit, casually sauntering inside, including a black and white kitten who nosed around our backpacks. Maybe he wanted to come along for the ride after all. Do the cats sleep in the room too? Yes, if guests would like, cats can sleep overnight in the room. Time for Lime provides litter boxes for sleepovers. I can’t find a way of attaching a photo of our moggy so I’ll send it to you email.